The main goal of writing is to say what we want to say or show our inner feelings through words. This, which should be an easy task, is considered to be difficult and complicated craft. And not to be undertaken except by those who master its techniques. 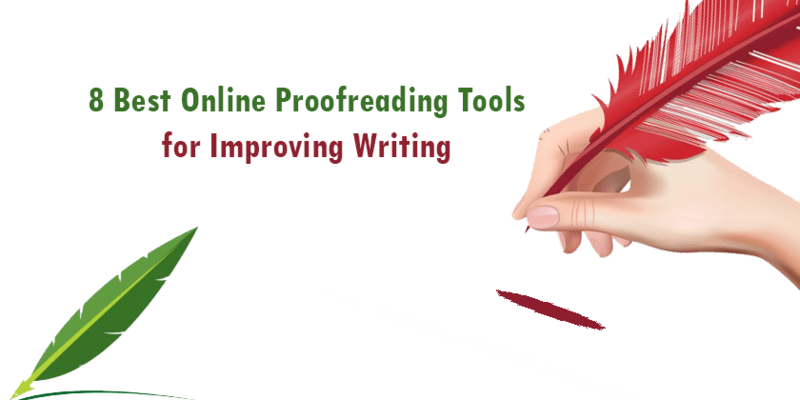 If you too face difficulty while writing, you don’t need to worry anymore because below I have listed the 8 best online proofreading tools for improving writing skills and I hope they will be helpful for you. Grammarly is one the few best sites for writing and double-checking. It checks your work and summarizes your mistakes. Not only it underlines the mistakes of your work but also gives a detailed explanation of it. So all you have to do it click on the underlined word or phrase; or on the arrow. Moreover, it helps you identify confused words, overuse of passive voice, wordy sentences, repetitive words, spelling errors and much more. It fixes over 250 types of errors. Also, Grammarly supports many document type such as a blog post, article, business document and so on. But for the students, the downside of the Grammarly is that it is not completely free. You need to upgrade to the paid version to get more features. Yet, its free version is also good and helpful enough. Besides, Grammarly is also available for your web browser. You need to install its plugin or extension and have it check and edit your blog posts, Emails, social media posts or any other content. QuickAndAirtyTips or Grammar girl is one the best web resources to help you improve your writing skill. It offers short, easy and frank tips to improve. Moreover, its content helps you learn punctuation, grammar, vocabulary, writing style and much more. Originally it was produced and launched by Magnon Fogarty on July 30, 2006. It offers all the lessons at no charge to subscribers hoping to improve their writing skill. For becoming an exceptional writer, you need to be exceptionally aware of using correct and most suitable words while writing. Thesaurus is one of the best tools to help you build your vocabulary. Thus, Thesaurus help you in becoming a better writer by providing alternate words and phrases to express yourself in writing. Moreover, it features the best collection of synonyms and antonyms. Hence, allowing students to use this electronic version of the thesaurus will free the student’s mind so that the can focus on writing content and not get bogged down searching through the pages of a traditional books or sites. Hemingway app is one of the few best software to help you make your writing bold and clear to improve readability. It makes sure that your reader should focus on your message. It highlights in red (very hard to read) and yellow (hard to read) if your sentences are very dense. Likewise, if words are highlighted in purple so you need to use the suggested alternate. Whereas blue means weak phrases or adverbs and green means that your sentence is passive. Grammar Monster is one of the most resourceful software that can help you in writing. it features all the topic you need to learn to improve your English. The easy-to-learn content on Grammar Monster makes it one of the most useful resource to improve your writing skill. And available entirely free. ProWritingAid is a life-saving software for writers. Writing can be grammatically perfect but still feel clumsy. ProWritingAid looks for elements like repetitiveness, vague wording, sentence length variation, over-dependence on adverbs, passive voice, over-complicated sentence constructions, and much more. It features many resources including word explorer, collocation dictionary, writing prompts. Hence, it helps you find and eliminate your mistakes and correct them. Readability is a software that measures your copy and gives a detailed explanation. It is a collection of tools to improve readability. You can improve the quality of your text by Flesch Reading check, keyword density check, and much more. All you need to do is paste the text and click on ‘measure readability’. Readable.io will rate and check your text within few seconds. 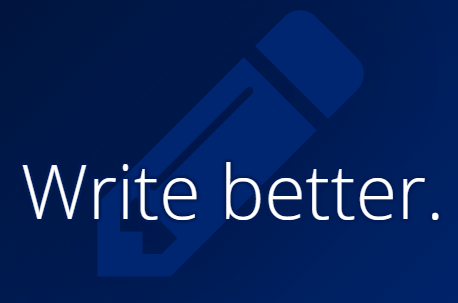 Slick Write is a powerful checker for grammar errors and potential stylistic mistakes. All you need to do is paste your text and submit to check. The errors will be underlined and you can correct them by hovering over the text. So, this was the list of the 8 Best Online Proofreading Tools for Improving Writing Skills please, let us know which ones are your favourite. And if you have any other suggestion, we will be glad to know. So, feel free to share your thoughts in the comment section below.